Gouaches is one kind of fine art between watercolor and oil painting, it dries fast and deliquescent in water, all samples by artists of Toperfect gallery can be painted as guache painting both on canvas and on paper. 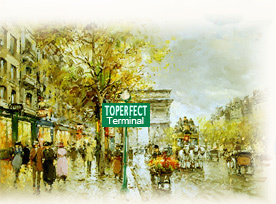 Toperfect, the terminal to your hard journey of searching for gouache paintings! 1, What is gouache paint? Toperfect Art supplies gouache techniques besides canvas art for sale, it is useful for painters and art fans. Our online gouache painting gallery not only supplies reproduction from pictures, but also sell gouache on canvas. 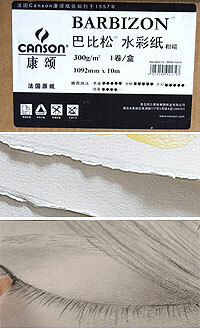 Our gouache painters in manufacturer are good at famous art reproductions and other beautiful gouaches wholesale. Gouache is pronounced "gwash", English pronunciation ɡuːˈæʃ ; in French ˈɡwaʃ . Also spelled guache. The alternate term "body color" is sometimes one word "bodycolor" also "opaque watercolor". Gouache name derives from the Italian guazzo, water paint, splash or bodycolor. Gouache is similar pigment with watercolor that is also water-soluble, but heavier and more opaque because that the particles of gouache are larger, the ratio of pigment to water is also much higher, and white pigment is present. It's the reason why gouache is called "opaque watercolor". Originally no such a painting genre named "gouache", but called it "opaque watercolor" instead although the techniques is considerably older since 14th century in Europe. In the early 16th century people applied oil paint over a tempera base. Then applied to the water media in the 18th century in France. Nowadays painting in gouache is popular in Europe, America and Asia. It has complete and independent technique, showing its own unique aesthetic value. Gouache art is a type of painting similar with watercolor painting and oil painting. Relative to watercolor painting, it's also painted with pigment suspended in water, between opaque and translucent. But its particles are larger, the ratio of pigment to water is much higher. 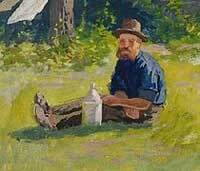 Relative to oil painting, Gouache painters don't use much water to mix colors, but use white pigment to adjust the brightness, and impasto skill to achieve the unique color effects. Other than watercolor and oil paint painting gouache make much artistic effects such as more colorful, soft, bright and vigorous so that is used to paint on some unusual papers or surfaces such as posters, package, advertising and book cover design, etc. Must consider the relationship between the tones and colors of whole results of gouache, then determine the colors of each part. Paint heavy color on the gouaches for sale at first, the light colors later. Too much water used will cause water damage and stain; but water lack will make colors dry, thick, sticky and difficult to use brush. So should use proper water or canvas to keep brush smoothly to cover the base of acrylic gouache on canvas or paper. May use a little more water to paint dark, blur, faraway part in the painting to enhance the sense of three-dimension and transparence. 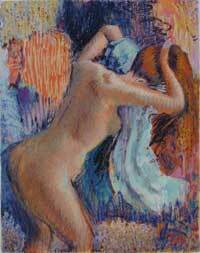 Kinds of brush can be used so that gouache techniques is various such as impasto, plain, and stipple. Palette knife is available to paint with gouache. Gouache color dries quickly, changes obviously, the colors flow on the painting surface so that easily to cause water damage. So it's important to master the techniques how to paint smoothly. Too heavy overlay make base invisible; and dirty if too light. Gouache is saturate when it's wet, but lose colors and glossy after dry. Too many colors mixed will become dirty, so painting in gouache is not suitable to be painted in big size, this is same with watercolor. Most painting manufacturers use cheap even bad materials for gouache paintings gallery in order to chase cut-throat competition and catch profit. But Toperfect Art is distinctive. For painting with gouache in high quality and Museum-Collection by Famous Artists, we use art materials in high quality including French Barbizon paper branded "Canson" and certified paints with brands Mary and Winsornewton that in European standard of EN71-3 and American standard of ASTM D, which is guarantee to get elegant artistic results and hundred years to collect carefully. To buy from the gouache gallery of Toperfect factory, please check Toperfect Catalogue to select painting and choose painting type as "Watercolor, gouache, pastel", then email us that you want it as gouache art on canvas or paper. You're welcome to order portrait and custom painting from photos.